Big news is coming to Chase County on May 4, 2019! We're excited to share the details regarding this community-wide celebration with a full day of events, culminating in a major announcement for the Imperial area! Please join us May 4 for a series of events to celebrate our wonderful community. We'll kick off the day with free coffee and rolls at 509 Broadway at 9:00 AM. We'll be at 509 Broadway until 10AM to share a coffee and give you all the details on what to expect from our big announcement. Next up, we're hosting an 18-Hole Tournament at the Imperial Country Club beginning at 11:00 AM. Sign up early by contacting the Imperial Country Club. The cost to play is $200 per four person team. We are thankful to many of our local Imperial businesses for sponsoring hole prizes, including Pinnacle Bank, ACI Agency, Inc., Wine Glass Ranch, Beverage Barn, S & P Liquor, Broken Arrow Cellars/Hanging Horseshoe Brewing Company, 509 Broadway, 21st Century, Haarberg Farms, Frenchman Valley Coop, Ledall Seed, Burke & Pribbeno, LLP, Lavender Market, Prairie States Communications, Imperial Republican, Harchelroad Motors, Chase County Hospital Foundation Fund, and Adams Bank & Trust. Beer, wine, and sangria tastings begin at 3:00 PM and run until 5:00PM at Broken Arrow Cellars. Appetizers will be provided, tastings are $5-10. All these events lead up to our big celebration which starts at 5:00 PM at the Chase County 4H Building. Charley Colton, organizer of the wildly popular Remember When in Chase County Facebook Page, will begin the evening with a presentation on the history of Chase County. A Taco and Nacho bar will open at 6:00 PM to give you an early start on Cinco de Mayo. Our hometown favorites, The Talbott Brothers will begin at 7:00 PM. Tickets for the evening event will be available for advance purchase at ALLO Communications (610 Broadway) or at the Imperial Republican (622 Broadway). The cost of each ticket is $25 and includes entry to the presentation and concert . Please pay by cash or check in these locations or at the door. Sales tax is included in the cost of each ticket. A cash bar will be available during the evening festivities. We are hopeful this celebration provides fun for all and that you'll be able to join us at one or more events throughout the day to learn more about this incredible community opportunity. Applications for the Kermit and Lottie Karns Scholarship and the Kermit and Lottie Karns Health Care Scholarship to attend Mid-Plains Community College are now available! ICFF is honored to have assisted our longtime donor, Kermit Karns, create these scholarships. Kermit wanted to help residents of Imperial achieve further education and use that education in Imperial. 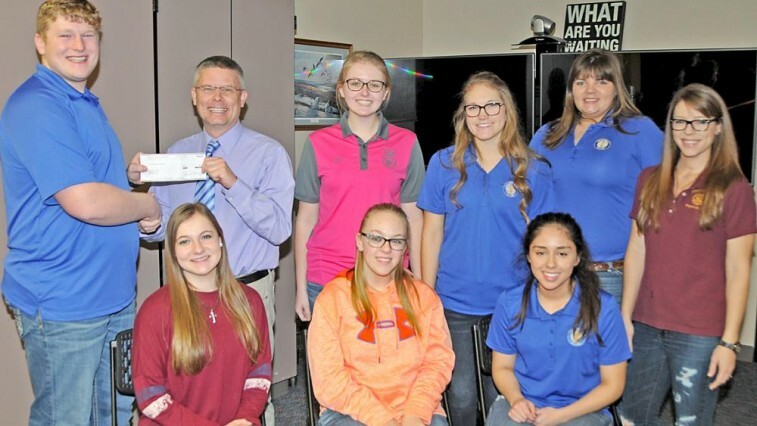 We are so excited to partner with the North Platte Community College Foundation for these scholarships and to continue Kermit's desires and legacy. Applications are due March 1, 2018 for the Fall 2018 and Spring 2019 semesters. Please find the applications below. Once completed, applications may be returned by following the instructions on the application or by delivering them to the Mid-Plains Community College campus in Imperial. Imperial Community Foundation Fund is very pleased to announce Jane Moreland has been elected to serve on board of directors of the Nebraska Community Foundation! Jane has been an active member of the ICFF Fund Advisory Committee and will now also be serving all Nebraska communities in her new role. Previously, Lori Pankonin, also a member of the ICFF Fund Advisory Committee, served on the NCF Board of Directors. Imperial is blessed with great leaders! Also joining the board is Jane Moreland of Imperial, Nebraska. After graduating from UNL with a degree in business administration, she and her husband, Mike, returned to Chase County where they raised crops, cattle, and thoroughbred race horses. Moreland was the owner and broker of Moreland Realty for over 35 years. Moreland is a member of the Imperial Community Foundation Fund advisory committee, and has been active with the Imperial Chamber of Commerce board and the Imperial School Board. She is a member of Rotary Club and past-president of the Nebraska Thoroughbred Breeders Association. Photo compliments of Johnson Publications. The Imperial Community Foundation Fund recently donated $4,000 to the Imperial Community Center for the purchase of a new dishwasher when the motor in the old dishwasher gave out after 17 years of service. ICFF recognizes the importance of the Imperial Community Center in the community and the impact it has on the quality of life in the Imperial community. ICFF is so thrilled to help support the Community Center's services providing meals to Imperial residents, delivering meals on wheels to those that might otherwise be unable to leave their homes, and offering a space for coffee and community gatherings. Imperial Community Foundation Fund has been so inspired by Team Hot Wheels, who have spent the past year raising interest and funds toward their dream of a skate park in Imperial. To reward their effort and motivation and to help them raise the final funds for the park, ICFF will match each additional $5,000 raised, up to a total of $15,000 match. To show immediate support, ICFF granted $2,000 and presented it to Team Hot Wheels at the Smokin' on Broadway and Hear Nebraska Good Living Tour event. Additionally, local resident, Bill Christensen (pictured above with ICFF Fund Advisory Committee member Tanna Hanna), won the opportunity at that event to designate a $500 grant from ICFF to be invested in the Imperial community. Christensen selected Team Hot Wheels. Chuck Adams of Imperial also donated $220 won by the Imperial Chamber of Commerce's 50/50 drawing to Team Hot Wheels. The Omaha World Herald recently featured Imperial and the Imperial Community Foundation Fund in an article focusing on why Imperial is such a great place for young persons to live, and why so many are returning to Imperial. Imperial and former resident Andrew Norman, Co-Founder of Hear Nebraska, were recently featured in NET's "Nebraska Stories". Hear Nebraska is a nonprofit organization that promotes Nebraska musicians and artists. A portion of the video was recorded in Imperial during the first annual Smokin' on Broadway and second annual Hear Nebraska Good Living Tour, two events Imperial Community Foundation Fund proudly sponsored. The video can be watched in full by clicking here. As a result of the great response to previous concerts, Imperial Community Foundation Fund continues its quest to expand culture in Imperial by sponsoring a free concert by Josh Hoyer and Soul Colossal, from Lincoln, Nebraska. The blues, soul, and funk band will be performing Friday, February 17, 2017, at the VFW Hall in Imperial, Nebraska beginning at 8:00 p.m. Hoyer, the band's vocalist, will be appearing on the upcoming season of The Voice. Pinnacle Bank kicked off the new year by investing $6,000 in the Imperial Community Foundation Fund (ICFF) unrestricted endowment. “It is Pinnacle Bank’s honor to be part of such a great community and to have the privilege to be part of the growth and success of the Imperial Community Foundation Fund (ICFF),” said Kelly Hammerlun, Market President of Pinnacle’s Imperial branch. Pinnacle Bank's continued investment in the community is very much appreciated. At the Smokin' on Broadway event in Imperial in August, Brianna Pribbeno won the opportunity to direct a $500 grant from the Imperial Community Foundation Fund to a charitable organization that benefits Imperial. As a sponsor of Interact, she felt confident the Interact students would put the money to good use. The Interact students chose to purchase backpacks and school supplies for children in need. Great job!